Melanie started Care2Pets in 2005 and started to build her team of trusted pet carers who have plenty of experience and dedication. We love dog walks and having your pet stay with us in our Stockport home. Are you looking for a dog walker? Doggy Day Care? Or other Pet Services in Stockport? We offer the full pet care	package. Since 2005 we have been providing a professional service to pets and pet owners in the Stockport area. Whether you need a cat or birds feeding whilst you're at work or for your pet to home board with us whilst you're on a two week holiday, we can provide a professional, loving, service. Melanie started the dog walking and pet care company in 2005 and has gained a vast amount of knowledge in the process. 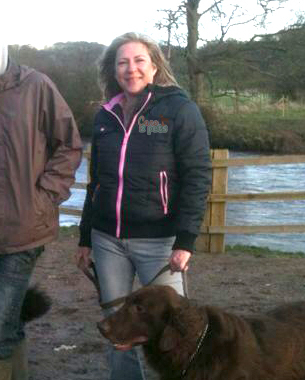 Melanie provides Dog Walking and Pet Visits in Bredbury, Woodley, Romiley and Reddish. John, Melanie's son, joined the family business in 2008. Growing up with dogs and pets all his life, John is a natural dog whisperer. He covers Offerton, Hazel Grove, Bramhall, Marple, Heavily and Edgeley. Brenda joined the Care2Pets team in November 2014 and has a tremendous love for dogs and other pets. Brenda covers Hazel Grove, Bramhall, Poynton, Heavily, Offerton and surrounding areas. You? Are you bored of the 9-5 days? Do you love dogs and other pets? We're looking to expand our Stockport base. Please see our dog walking and pet care jobs page for more information.